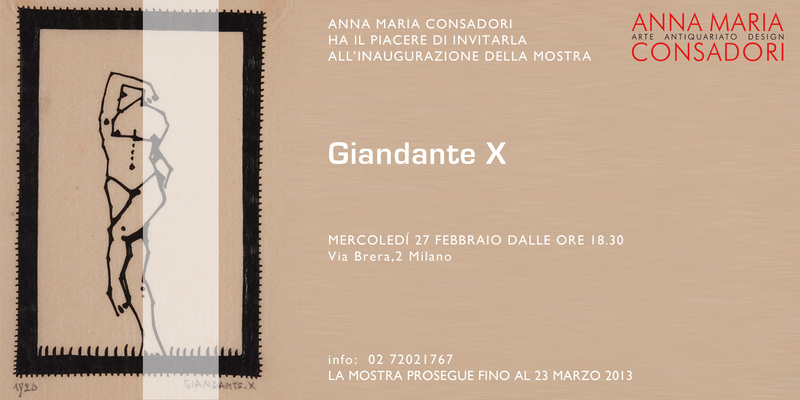 Next 27th February 2013 Galleria Consadori opens the exhibition dedicated to Giandante X. His real name was Dante Pescò, he was born in 1899 and he exhibited for the first time in 1920 at Galleria Vinciana in Milan, featured by Adolfo Wildt. The exhibition at Galleria Consadori focuses on the first years of Giandante’s production, know less than the artworks realized post-war.